Elit'Avia provides a personal and tailored corporate aviation service to suit each of our customers lifestyle and business needs. Our customers are aircraft owners and charter users and we aim to please each in a unique and special way. We see our clients' demands as a challenge to reach excellence, and we strive to always maintain the highest performance and safety standards. 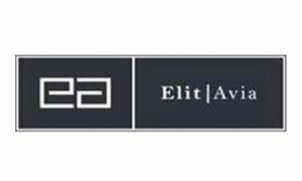 Elit'Avia fully abides by the most stringent standards imposed by the European Aviation Safety Agency (EASA), which governs, monitors and controls all aviation activities in Europe. We have been recognized by certification to the International Business Aviation Council (IBAC) highest level, the International Standard – Business Aircraft Operations (IS-BAO). Strategically located in the heart of Europe, we can promptly respond to requests coming from a wide range of regions. Our multicultural, and multi-lingual team is happy to treat each inquiry as an opportunity to demonstrate our commitment to quality. Our extensive experience in both corporate and airline aviation as well as business management brings together our key skills: personal attention, flexibility, discretion and solid operational practices. The cohesion within our team gives us the drive to work well in the present and project into the future. All this for the benefit of our clients and for our own satisfaction.